Do you have a garden with trees and different plants? How long does it take you to rake up all the debris to keep your garden maintained? If you answered hours of hard work, you need a cordless backpack blower. 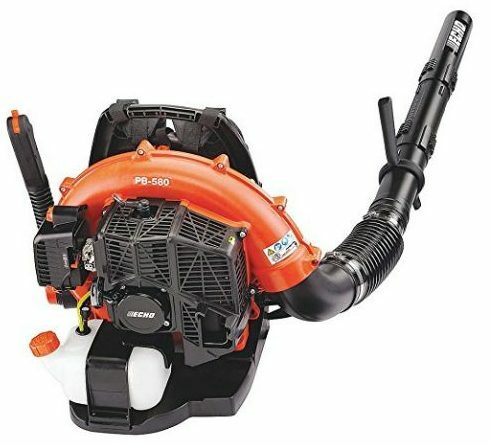 You can find different leaf blowers online and pick the best one is not always an easy task. We are here to help in making your garden tasks easier by presenting you with the best cordless backpack blowers available for you to buy. You do not want to waste hours searching, and neither do you want to take a whole weekend to keep your yard maintained. With this handy device, you can manage debris and falling leaves quickly. Here we have selected three options to buy the battery powered, electric or a gas model. Check out the availability of each of these fantastic garden tools and find one that suits your needs. For a rechargeable leaf blower with advanced features, you need the EGO Power+. You can use the device with any Arc Lithium battery and has a changeable speed of 250 – 480 CFM. The unit has a turbine fan for industrial power, and the brushless motor makes the runtime longer and reduces vibration. Included in the kit, you receive a standard charger and can use it with 2.0Ah & 2.5Ah 56V Lithium-Ion kits. 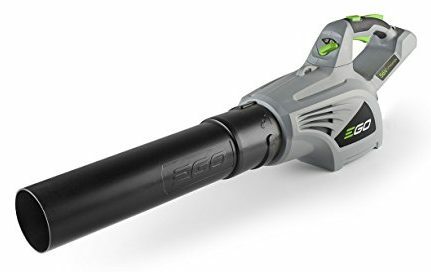 The blower is lightweight and has a water-resistant structure with a three-year battery warranty and 5-year tool warranty. You can use three speeds with the Turbo Boost. The items weight is 5.1-pounds and sits comfortably in hand. For a powerful gas-powered cordless backpack blower, the PR48BT stands out for all the right reasons. You can handle complicated leaf blowing tasks with this device. The velocity speed is up to 200 mph and has 475 CFM airflow. The shoulder straps adjustable and has a soft-grip handle with a padded harness. You can use the blower for residential and commercial use with the variable speed throttle. The controls conveniently placed and had an angled nozzle that points downwards. The frameworks durable and it has a 48CC two-stroke engine. The Troy-Bilt is another gas cordless backpack blower that can help ease your yard cleaning smoothly. The device has airspeed of up to 150 mph with airflow of 500 CFM. The suspensions fully tensioned to balance out the weight evenly on your back. The hip belt has soft padding and fits the shape of your hips. The tube is flexible and long and has a 32cc four-cycle engine. There is a jump-start cable with spring assist. The throttle has cruise, and excellent control and the backpack has a Coolflex design. One crucial feature offered with your purchase is the two-year warranty included. 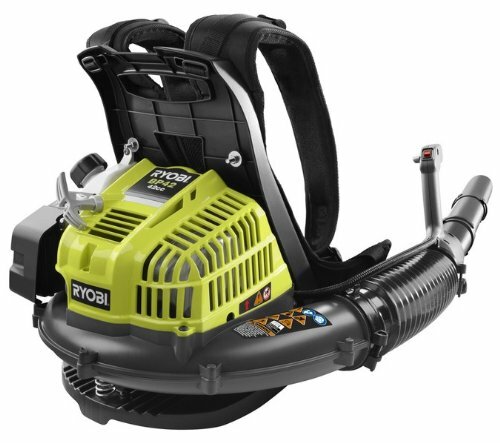 The Ryobi cordless backpack blower is a gas to oil model that takes up to 2.6oz of oil and uses one gallon of gas. The harness has a distinctive design with an adjustable fit to fix to your back and shoulders. For maximum airflow, Ryobi has placed the engine in a unique place on the R08420. For power, it has a 42cc engine and has a downward angle design for comfort. The speed trigger is variable and has cruise control. The tool only weighs 18 lbs. 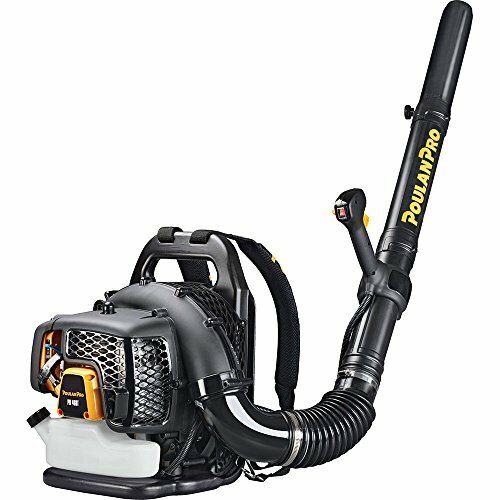 Husqvarna offers you exceptional value when you purchase the gas backpack blower. The garden tool has a 50cc engine with an easy to start X-Torq engine. For high airspeed of 250 mph, it has an efficient fan design and the flow is 710 CFM. The harness has a ventilated structure comprising of a hip belt and shoulder straps. The device CARB compliant and has LowVib dampers. The switch resets to the on position automatically and has a variable speed throttle. 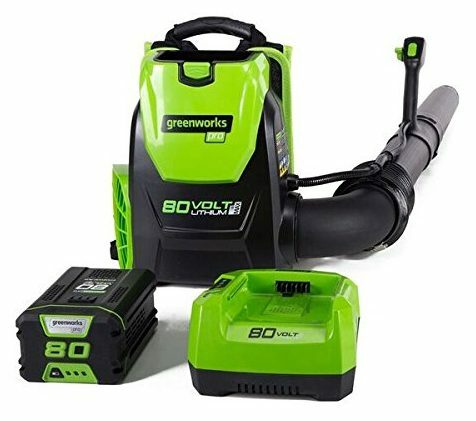 The cordless backpack blower from GreenWorks is battery operated. You can tackle any leaf-blowing task with this device. The airspeed is 145 mph with 580 CFM airflow. Compared to a gas-powered model this one has a brushless motor and offers you outstanding performance. There is a variable speed throttle with a turbo button for on-demand power. Included you receive a 2.5Ah battery & charger, two-year battery warranty, and four years guarantee on the tool. 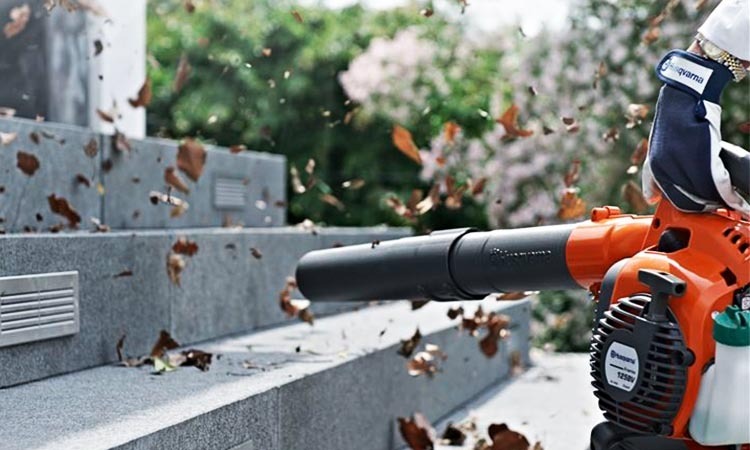 You will be surprised how well the leaf blower can handle any landscaping task. With the Echo cordless backpack blower, you can take care of your raking tasks quickly. For superior strength and durability, it has a 58.2cc two-stroke engine. The shoulder straps and backrest have soft cushioning for comfort. The back pad has ventilation-allowing air to circulate. For superior air filtration, Echo has used pleated air filter with Posi-loc pipe connections. To prevent debris from entering the fan intake, they have placed a leaf guard. The throttle grip is comfortable and has a palm rest with an extended trigger and cruise control. Additionally, you receive a fantastic 5-year warranty included. 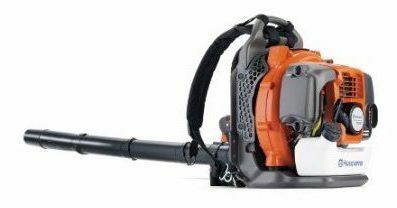 For an excellent leaf blower, you need the Husqvarna with a 50cc engine. The design is lightweight, and the harness offers you easy access to the controls. The throttle you find mounted on the tube. The control powers up the 2.1hp X-Torq engine and blows all debris away with 692.17 CFM airflow. You can set the fan speed, and the handy tool is CARB compliant. To keep your product maintained the manufacturer includes a two-year warranty. 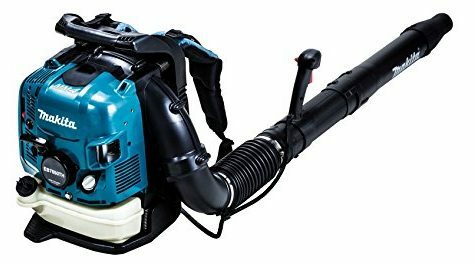 For a fuel-efficient cordless backpack blower, you need the 75.6cc-powered Makita. 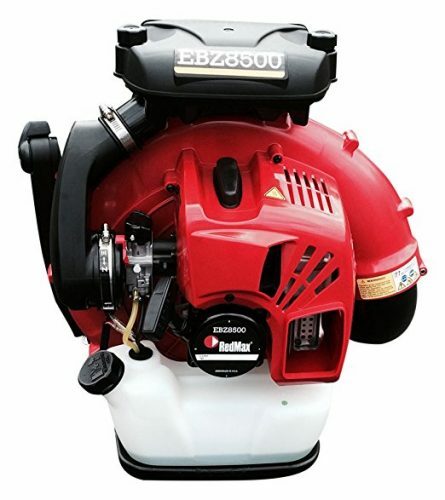 The four-stroke engine works quietly and has a powerful blowing action. The air filter is massive and replaceable. You can adjust the shoulder straps and has a padded back with the ventilated panel. The max air sped is 200 mph and only weighs 24.1 pounds. For commercial landscaping needs when it comes to maintaining a yard you need a garden tool that is powerful. 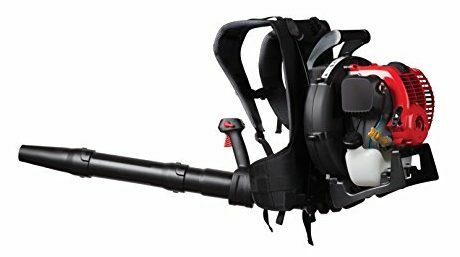 Here we have the RedMax cordless backpack blower with Stratos-charged two-stroke engine. The motor has 4.4 horsepower and has a max airspeed of 206 mph. The airflow is 908 CFM, and the back pads cooled. The straps are wide and padded with adjustable fit. If you need a quick way to rake up the debris in your yard, you need one of the best cordless backpack blowers reviewed here. No matter which brand or model you choose, each one offers you durability, ease of use, and comfort for hours of outdoor cleaning tasks. The leaf blowers reviewed are the best available online and come highly recommended by different users.